Golden eagles, with a wing span of up to 7 feet and weighing up to 15 pounds, are known as one of the largest and fiercest birds of prey. They are found in more places on earth than any other kind of eagle, including North America, Europe, Asia and Africa. Still, due to one major predator, these beautiful birds have been struggling to survive for decades. The healthy adult golden eagle, due to its impressive size and hunting prowess, has no natural predators. Eggs, chicks, immature eagles, and injured birds are susceptible to a range of predators, such as other birds of prey, including other kinds of eagles and hawks, bears, wolves and cougars. The main predator of golden eagles are humans. Pioneering farmers throughout the Eastern United States worried about the huge birds harming their livestock. To prevent it, they shot the birds, leading to a drastic decline in the population of that area. Hunting golden eagles was also prevalent among farmers throughout Europe, causing declining populations and in some countries, extinction. Today, researchers know that the birds do not commonly prey upon livestock and, instead, choose to scavenge and hunt smaller animals such as rabbits and squirrels and, less commonly, on foxes, coyotes and small deer. 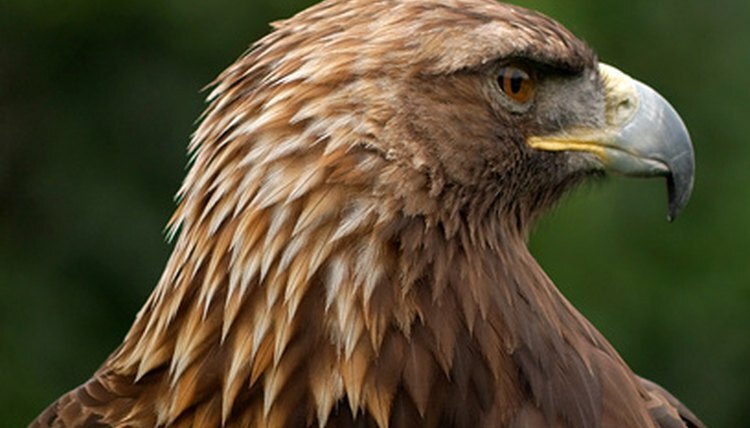 Habitat destruction is one of the biggest threats to golden eagles today. The birds' territory generally spans huge distances--as much as 60 square miles--and they rely on undisturbed nesting areas, since monogamous golden eagle mates return to the same nest year after year. A growing human population worldwide has led to deforestation and sprawl, and many golden eagles have been displaced by housing and business developments. Today, golden eagles are still targeted by humans who blame them for hunting livestock or killing game, such as grouse, that hunters kill for sport. Many eagles have been reported as poisoned through carrion. Poisoning can also occur indirectly through pesticides and air pollution. The birds are still hunted in some regions for their feathers, and eggs are stolen for illegal selling on the black market. The 1940 Bald and Golden Eagle Protection Act prohibits anyone from killing or disturbing golden eagles within the United States. Numbers are rising in the United States, where they are no longer listed as endangered, but hunting and disruption in other parts of the world, particularly Europe, Asia and Africa, continue to harm populations.